This section of our website contains some of the advanced educational material that we have produced along with some of the consumer product testing reports we have written. All the testing is conducted from a consumer perspective and following manufacturer’s guidelines. Sadly, most products fail testing and we are kept so busy at times that we can’t keep up with all the reports that need compiling. If you have any suggestions or comments for what you would like to see included in this section please contact us. We are always happy to test new products (ideally before they go on sale to the public). ‍‍‍‍‍‍The section below contains linked flick book documents as well as some PDF. if you get a file warning don’t worry, our site is clean and checked regularly. As the inventors of Passive Bed bug Monitors, we have more field knowledge of their use than any other company in the world. Although we are slightly flattered by some of the clones and those who have “borrowed” our ideas and terminology, most have sadly not based their work on field observations and developments. We provide the documents below to illustrate their efficiency and to help people to use them as part of their bed bug detection and eradication strategy. If it’s not bedbugs what else might it be? Bird Mites – biting mites which are associated with current or vacated birds nests. Bird mites are at the limit of human vision and are most commonly described as moving “full stops” or periods. Seek professional experienced assistance with this pest as they are notoriously difficult to deal with. Carpet Beetles – although they lack the ability to bite, their hairs may provoke a skin reaction that strongly resembles an insect bite if they become electrostatically attracted and embed in your skin. Psocids – again a non-biting pest that some people can have reactions to. They feed exclusively on mold and fungal spores which usually relate to dampness in the infected area. Fleas – a common pest that can occur even if you don’t have pets. Dust mites – again a source of allergic reaction more than a biting pest. This section aims at dispelling some of the myths around this issue and explains simple solutions. Headbugs – while this is a negative term we try to avoid it is a misdiagnosis that does get bandied around. This section explains why it is not a diagnosis. BedBugger.com – the first, and still best, consumer advice, support portal and blog in the world. Our Managing Director participates under the username bed-bugscouk and is very active in the forum. abmmbb.com – Advances in the Biology and Manage‍‍‍ment of the modern Bed Bug. Our managing director is a contributing author. Pests Don’t Have To Be Scary – when educating people about pest issues it is so often from a perspective of fear with graphic images which do not have real educational value. 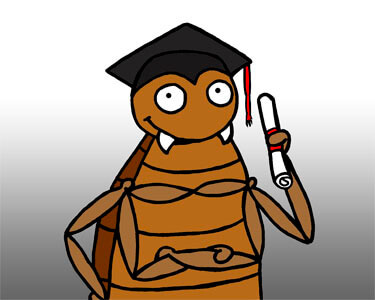 Just as our bedbug information is presented in cartoon format we have worked with our resident artist to create a whole portfolio of cartoon images which are available – Free of charge – to academics and public education and for a small fee to commercial organizations. OstrichBug.com – For those who feel that bedbugs are an issue that will go away if you ignore it we offer the sage advice of the Ostrich Bug – Cimex ridiculous. HowToTellIfYouHaveBedbugs.com – As the first company to focus on bedbugs as a service we secured certain high-level domain names on the grounds that when widespread public education programs started they could have access to them without fighting a “magic bedbug spray” or “faulty glue based trap”. In the meantime, we are holding the domain open with what we believe is the easiest and most cost-effective way to reliably confirm if you have bedbugs, it will be transferred as soon as we are asked to do so by someone who can pass out ethical criteria. Glossary of Terms – To help people get to grips with bedbug terminology we have started a glossary document which others can input to. Schrodinger’s bed bug – An explanation of why bed bugs are natural anxiety triggers and why it is important to understand this aspect of the problem. Why we don’t use whole home heating – details of the reasons why we do not offer nor endorse any room heating systems. Why we don’t use dogs – coming soon a section that explains why we do not routinely use dogs to detect bed bugs.